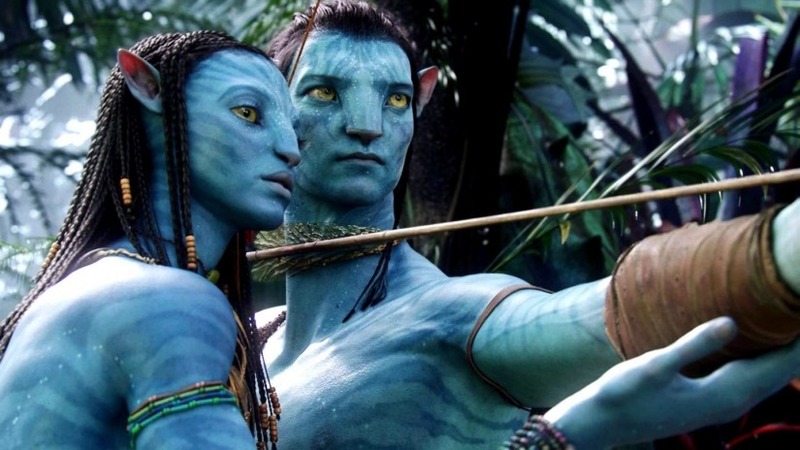 Supposedly the titles for the upcoming AVATAR movies have been revealed? BBC News says that they have seen “documentation” revealing these titles! Details on these movies have been scarce and elusive, and right now we have a bit of new, but unconfirmed, information. Okay, I was kidding about that last one, but that new LAST AIRBENDER TV series better be good! The internet has been losing its mind over these titles, and I don’t really see too much wrong with them. Maybe they are not very “movie title-y”, but more so chapters in a fantasy book. Who cares. These could be far worse. In THE WAY OF THE WATER, they were explore more of the planet Pandora, showing us its oceans! Underwater on Pandora is bound to be an eye-gasm! I recall reading in a report not too far back that the movie being water themed is exactly the reason why it is taking so long to produce. The reflections in the water keep mirroring markers, making false markers on the computer and it is taking them a long time to work around that. THE WAY OF THE WATER is due December 18th, 2020?